The Institute of Services for the Agricultural and Food Market (ISMEA) has released data indicating that the volumes produced during the current olive oil crop season in Italy have reached record lows, amounting to 185,000 tons (slightly above the 182,000 tons of 2016). Our thoughts have been with Tassie olive growers over the past few weeks, with a number threatened by the ongoing uncontrolled fires burning across the state, so we asked AOA Tasmanian Director Christine Mann for an update on the situation. They’re still not completely out of danger, she reports, as fires are still active in the state, but they’ve had some rain at the fire fronts and there are currently multiple interstate fire crews assisting to contain the fires. We’ve got everything crossed for more rain and complete control of the fires very soon. Banks are under pressure to immediately stop the "despicable" practice of slapping drought-stricken farmers with hefty penalties for defaulting on their loans. Agriculture Minister David Littleproud has demanded the banks scrap default interest charges for farmers suffering natural disasters, in line with a recommendation from Royal Commissioner Kenneth Hayne. We hope no olive growers are at this stage but it’s good to see ongoing support for better treatment of Australian farmers. Got something to sell, or want to buy? 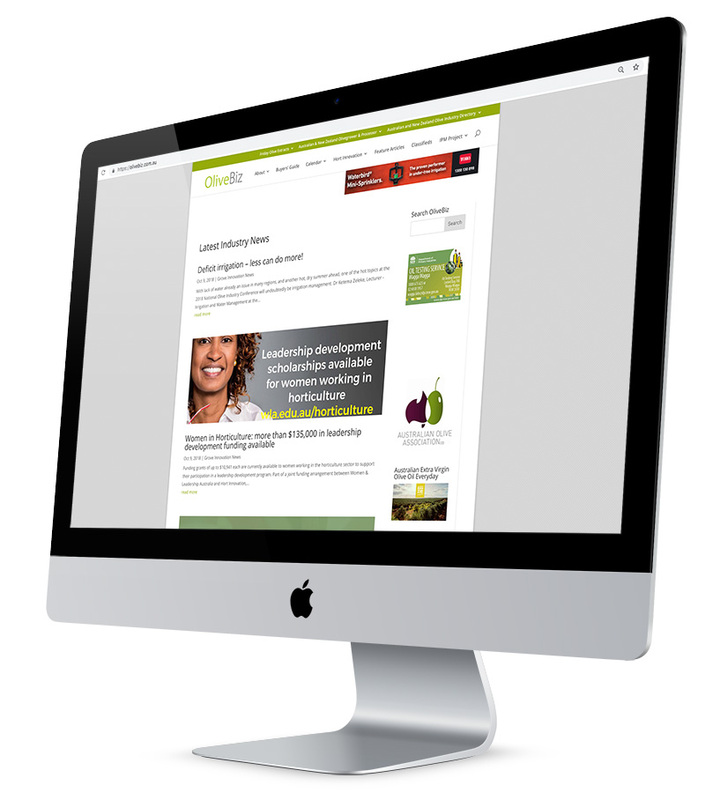 You can reach your target market directly with Olivebiz Classifieds. If you’ve got something industry-related to sell, our online Classifieds service is an easy and inexpensive solution to advertise your unwanted equipment, extra oil - or even your grove. Like Jude, who’s upgrading for larger capacity and selling her meticulously cared-for Oliomio 50. And if there’s something you’re looking for, it’s the ideal way to get the message out loud and clear to your peers and industry associates. 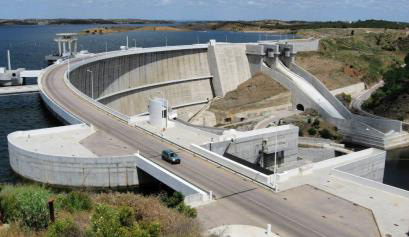 Positive action for our industry, given the risk of Xylella fastidiosa arriving from Europe. 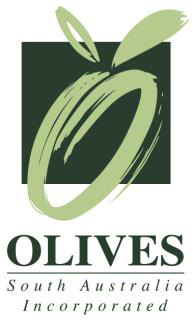 Olives SA Tasting Course – next weekend, book now! 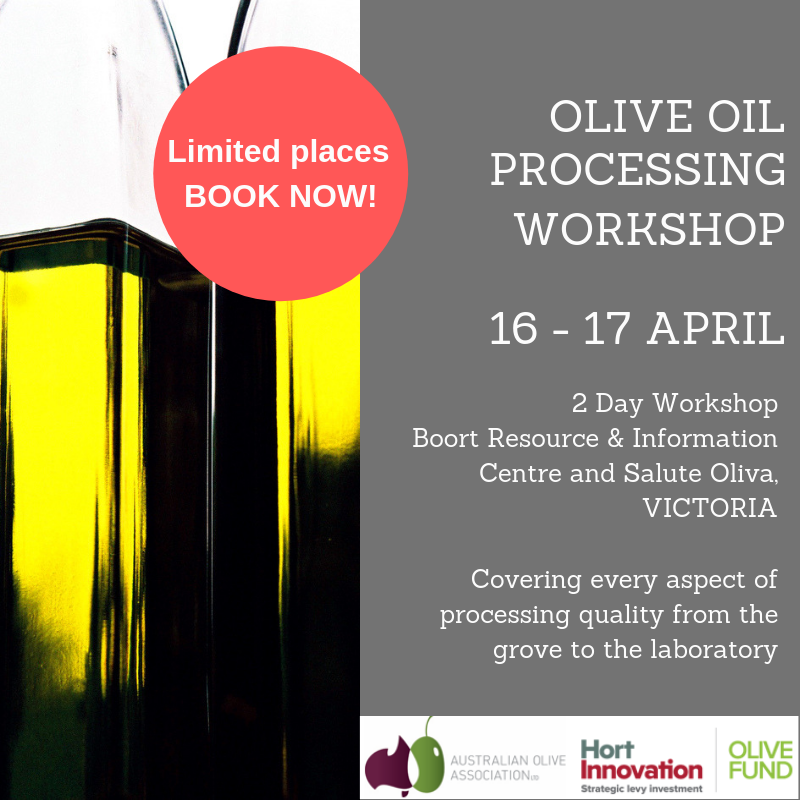 Olives South Australia are holding an EVOO Tasting Course, providing refresher or entry-level training led by master blender Trudie Michels. The course is open to growers, retailers and other industry members, and interested consumers are also welcome to attend. RSVP to Michael Johnston on 0419 815 839 by 5pm on Friday, 15 February. The Hunter Olive Association is holding a field day on Saturday, February 23, run by Col Freeman from local land services. Activities commence at 9am and the venue is 852 Milbrodale Rd, Broke. Attendees are invited to bring soil samples from their own groves for assessment and management suggestions. Growers from further afield are most welcome to join their Hunter counterparts. Please register attendance via secretary@hunterolives.asn.au. Registration is now open for the OLIVE JAPAN 2019 International Olive Oil Competition. Last year’s event saw 30 entries from Australian and New Zealand producers, resulting in eight Gold and 13 Silver medals. 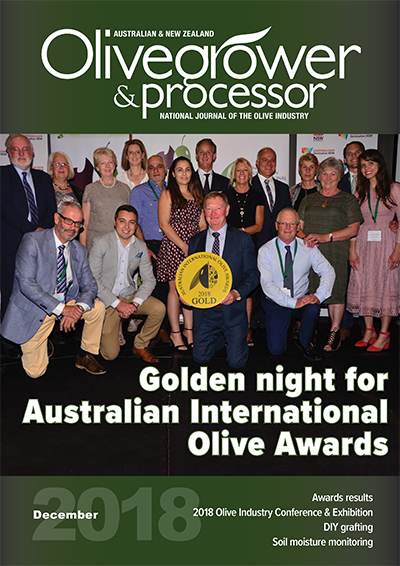 The 2019 edition of the OLIVE JAPAN event includes plans for an official Buyers’ Guidebook to introduce Gold and Premier winners with a product photo and brief description. Deadline for entries is March 25, with online registration here. Results will be announced on April 12 on the competition website. The OLIVE JAPAN SHOW 2019 will be held July19-24, including the awards ceremony on July 21. Let’s hope that includes ‘contamination’ of EVOO with lower quality and/or other oils. ONZ gearing up for final round of Focus Grove Field Days – be there and learn! The EU has filed a complaint with the World Trade Organization, but the short-staffed trade entity faces a massive backlog. Spanish olive producers face an uncertain future with a December 2019 deadline looming. As American consumers become increasingly aware of the nutritional, social and environmental impact of the food they eat, Alive & Well Probiotic-Rich Organic Olives convey a true hero’s story. Long before today’s burgeoning resurgence of interest in regenerative agricultural practices and the inherent environmental benefits, a closely knit group of family growers tended 70,000 olive trees near the Grecian village of Rovies. 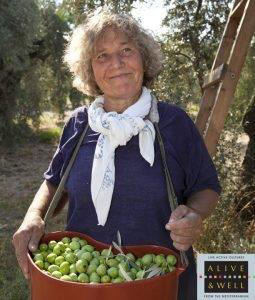 Delegates at last year’s National Conference will no doubt be reminded of South African table olive expert Linda Costa’s inspiring presentation as they read about olives “naturally rich in probiotic, live cultures, antioxidants, and other beneficial substances”. After negotiations that lasted several years, the olive oil production cooperatives Jaencoop and Olivar de Segura have agreed to merge. The resulting conglomerate will be the second largest producer and distributor of olive oil in the world, after Dcoop in Málaga, Spain, with an average annual turnover of more than €250 million ($286 million). The secret, Dias says, is “It needs to be crazy good olive oil”. In other words, local EVOO! One of those experts is our own Leandro Ravetti, technical director at Modern Olives. Food fraud affects many food categories, but stakes are a little higher with olive oil due to potential allergens in substitute ingredients. We’ve reported on the Canadian Food Inspection Agency’s work before but couldn’t resist an update, given the great final paragraph of this article. Great advice for consumers – and great for producers.